The work of Gintas К is not a pure acousmatica, it's more like an interpretation and personal approach to this unique technique of producing sound compositions . At the same time, all elements, characterizing the previous works of Gintas K, are available here - heavy digital micro and macro processing, glitch, digital noise, high quality extreme sounds etc. Also it's difficult to realize what kind of sound sources have been used during the process of creating of the album. It could be fragments of live sets, based on modular or laptop improvisations, or field recordings and found sounds, transformed into something different and new. Acousma Light sounds excellent. It's even difficult to stop the process of listening, covered by the flow of multi layered information. 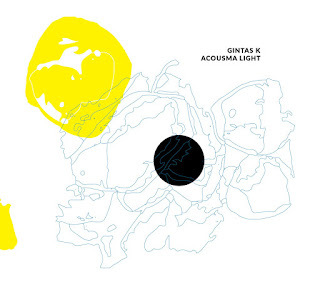 One of the best albums in a vast discography of Gintas K!